At this point, Amanda started thinking she could stay at Walmart. So, she applied for the only full-time job available at the time – in the Auto Care Center. She had never checked the oil in her own car before, but within a year, she had learned how to change oil, rotate and balance tires and change batteries. After working for a couple years as a department manager in dry grocery and hardware, Amanda had the opportunity to work as a support manager in a small format store. The position challenged her to learn more about being in charge. “It showed me what I could do as far as my skills, and so I knew there was more out there for me,” She said. After working for a couple years as a department manager, she set a new goal: assistant manager. Achieving a management role just five years after being hired as a temporary cashier wasn’t just a big step in Amanda’s career. It was a milestone in her ability to provide for her family. As assistant manager, her career took off. 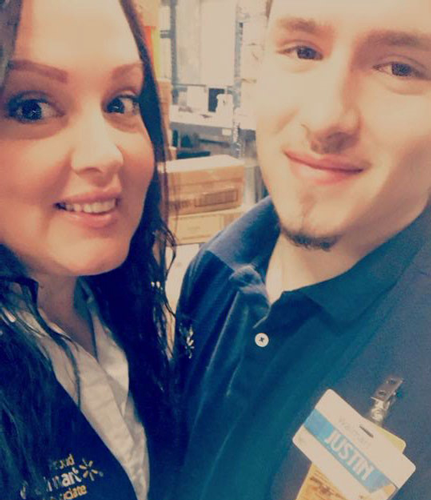 She was promoted to co-manager in a little under a year and manager of a Walmart Academy just a couple of years after that. When I asked her about being an Academy manager, Amanda’s eyes lit up. Justin is now an overnight maintenance supervisor and has been with the company for more than a year. Last year was full of more big moments for Amanda. Not only was she promoted to store manager and asked to take on the Crossett supercenter, but she also got married. 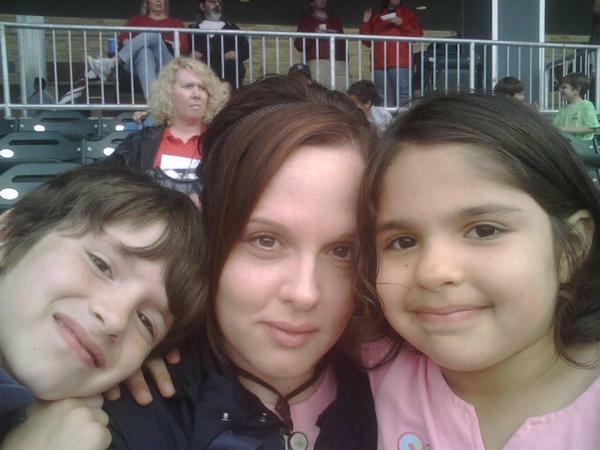 Her wife, Chasity, also works for Walmart – she’s an assistant manager in El Dorado, Arkansas. “She’s been with Walmart, like, a tiny bit longer than me, so she thinks she has all of this seniority,” Amanda chuckled. When I asked her if there was anything she’d want to tell Chasity, Amanda joked, “Yeah, could you bring home some milk?” They sound like they’ve been married longer than a year. 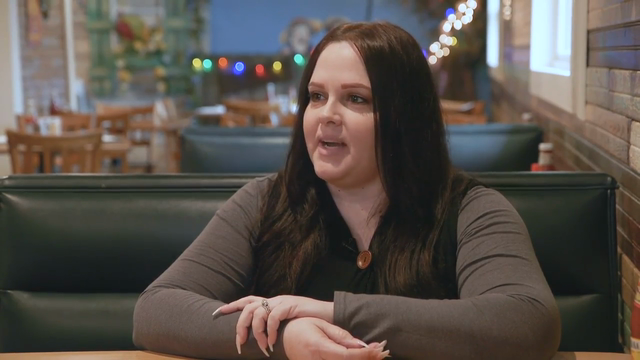 Now, Amanda’s sights are set on a new goal: regional general manager. She knows she has some work to get there, but she’s already calling her shot.